Although the expansion of humans across Eurasia is a key event in human evolution, human fossils from this period, around 40,000-60,000 years ago, are rare. As a result, the ancestry of all present-day non-African modern human populations have largely remained a mystery. Now, in research published this week in the journal Nature, an international team of Israeli, North American and European scientists have determined that this recently discovered partial skull represents the first fossil evidence from that critical period. 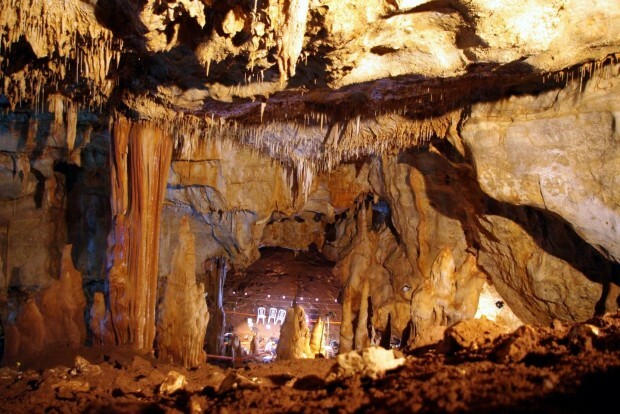 The partial skull was found in Manot Cave in Northern Israel which was discovered in 2008 when construction activities broke into the cave—the original entrance having been blocked by rock falls and stalagmites for an estimated 15,000 years. Dated to around 55,000 years old by researchers at Hebrew University, the skulls age coincides with the predictions of genetic and archaeological models of modern humans migration from Africa to Eurasia. Adding to the evidence is a distinctive “bun”-shaped occipital region at the back of the skull which resembles modern African and European skulls, but differs from other anatomically modern humans from the Levant region—the area east of the Mediterranean. The researchers believe that the population from which this skull is derived had recently migrated out of Africa and established itself in the Levantine corridor during a time span that was favorable for human migration, due to warmer and wetter climatic events over the Northern Sahara and the Mediterranean. Furthermore, the discovery also provides the long-awaited evidence of both modern humans and Neanderthals co-inhabiting the same area at the same time, which could explain when interbreeding between the species occurred. This long suspected interbreeding event would account for the approximately four percent of Neanderthal genes in modern Europeans. It has been suspected that modern man and Neanderthals were in the same place at the same time, but we didn’t have the physical evidence. Now we do have it in the new skull fossil. Bruce Latimer, Case Western Reserve University School of Dental Medicine’s Department of Orthodontics Paleontologist. 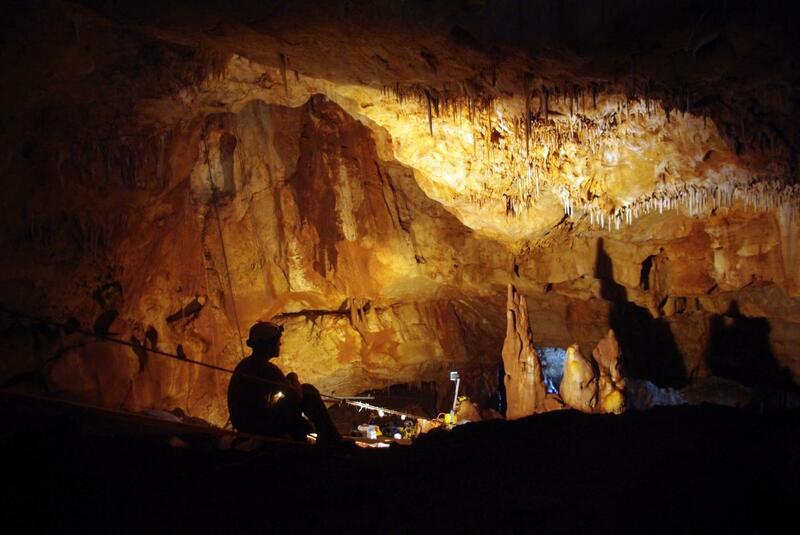 Researchers are hopeful that continued excavations at Manot cave will find other bones associated with the skull.